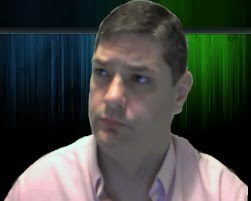 Just thought that I would take the time to return to my little series "Real or Fake". For those who don't know, I take a popular story or photo and attempt to either confirm it as Real or confirm it as Fake.
" 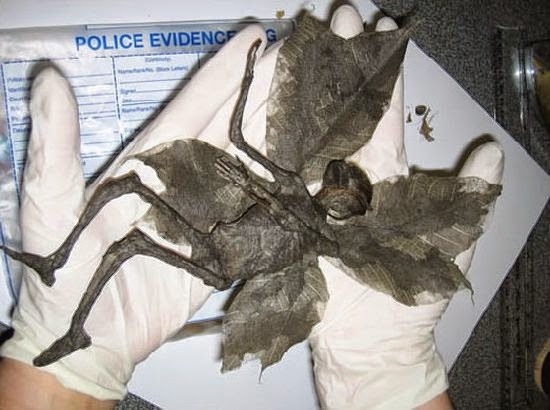 A man, who wishes to remain anonymous, was out walking his dog when he found the remains of a Fairy in the Derbyshire countryside. The remains are about 8 inches long and has long flowing red hair. The tiny being was x-rayed and it revealed that the bones were hollow like a birds....."
You get the idea. There were several photos of the fairy that accompanied the story. The "Police Evidence" bag adds what many to believe credibility to the story. 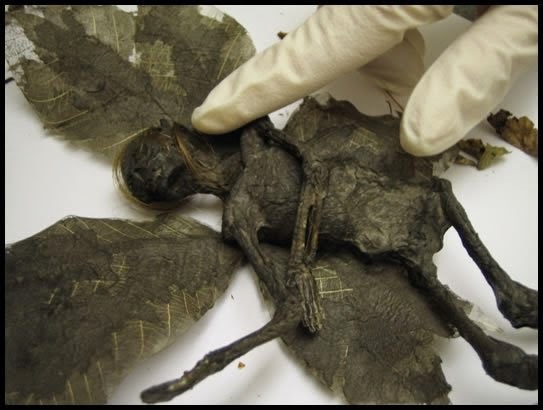 I still see thee pictures passed around on various website and many have concluded it is a real fairy...but lets dig deeper. Come to find out this was intended to be an Aprils fools joke but it caught fire and is still burning in many circles. In 2007, Dan Baines, a 31-year-old illusion designer for magicians from London posted the photos online. Some evidence of the "prank" are still left over on this page - http://www.lebanoncircle.co.uk/DeadFairy.htm - Although there are no pictures of the fairy on the link, the name of company pretty much lets you know that they make Props of this kind. One look at the "Collections" link will give you a taste of the excellent props they can create. Once Baines came clean many people suggested that it was a cover up to hide the fact it was a real fairy. It is reported that Baines was got around 20,000 hits in one day and numerous emails about the fairy. This big interest in the fairy prompted Baines to cash in on the hype and he put the fairy for sell on ebay. The item brought almost $500. It is slow to load and errors out...so give it a few tries. After all of this and the fact that Baines admitted it was fake ..some still hold the fairy as being real. Derbyshire Fairy Story - Fake! These are some of my favorite posts Thomas ! Always interesting and often many of which i haven't come across before. Enjoy the site and keep em coming. Thanks Sid!! - I hope to do lots more ...just been busy with sick parents but things are looking better. Thanks for the support. Sorry to hear that Thomas. Hope they are back of their feet soon and glad to hear things are going in a good direction. Bigfoot up close in Oleta River State Park? 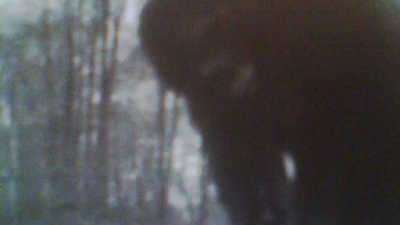 Could This Be A Picture Of Mothman? Shadow Figure Caught on Camera?